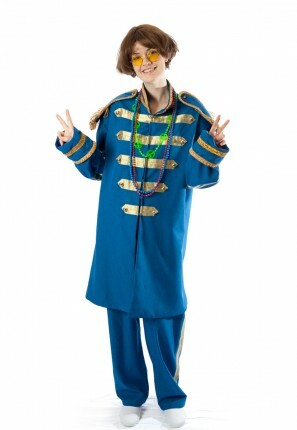 1960’s Sgt Peppers Lonely Hearts Club Band costumes. 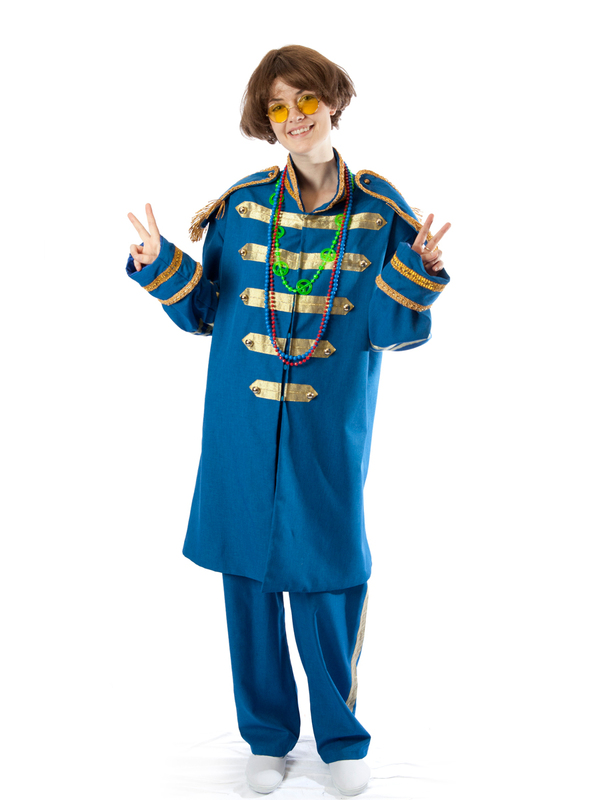 Consists of Long colored braided jacket with epaulettes and military buttons, matching braided trousers, colored beads and colored peace glasses. Optional Beatles mop top wig.